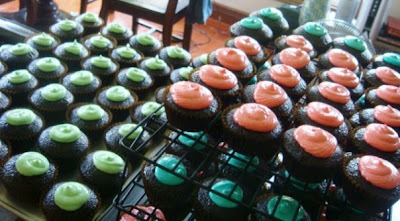 Cuppy Creme: the cupcake project! It was my dad's birthday last June 10. My sister turned a year older last June 2 and her T, last June 13. Since we were not able to celebrate with my sister last June 2 for reasons that I could not divulge, we decided to host a joint birthday celebration for the June celebrants last June 12. 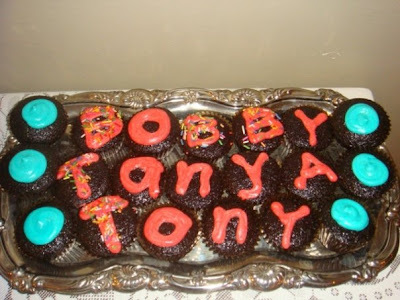 One of my many tasks was to bake cupcakes for the party. 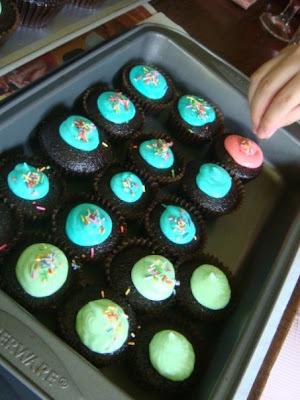 My sister initially wanted orange vanilla cupcakes but she settled for chocolate cupcakes instead. Whew! Imagine how many oranges I'd have to squeeze to make 10 dozen cupcakes!!! 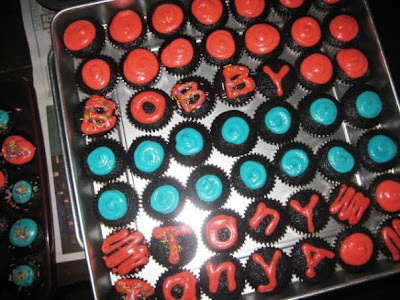 The night before the party, my sister Gelli and I worked on the cupcakes. After mixing the ingredients for the cake (thank heavens for my kitchen aid mixer), I emptied the batter into a pitcher for easy pouring. This is faster than scooping batter into every cup. Just one of the many batches headed into the oven. Less mess, no stress! We made 10 dozen moist chocolate cupcakes before sleeping. 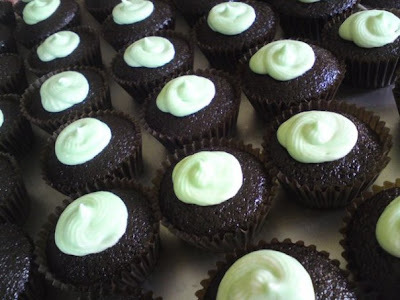 I love the dark color of the cupcakes. Dark brown to black, the cupcakes were rich, moist and yummy. When I woke up at around 9 AM, I started working on the pasta sauce with my sister Tanya. When we were satisfied with how the sauce tasted, I started working on the buttercream frosting. It was too hot that day that I couldn't get the frosting to set properly. C'est la vie! I was in charge of piping swirls of frosting on the cupcakes. and some pink and blue ones too! 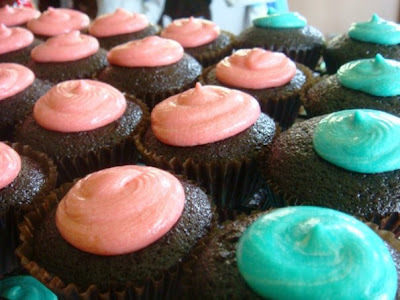 Pink, green and blue cupcakes. Aren't they cute? I think I should take up a Wilton course in cake decorating so that I can learn how to make those cute designs using a piping bag and the tips that come with it. Birthday girl Tanya tinted the frosting pink, green and blue. 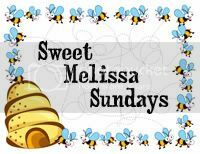 She also did the lettering. 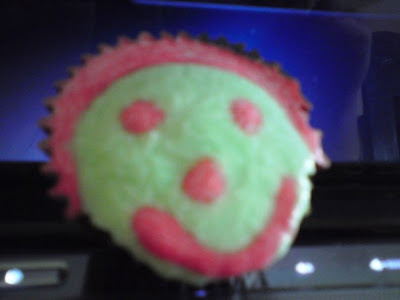 She then decorated one cupcake this way! Gelli sprinkled cupcake toppers onto some of the cupcakes. 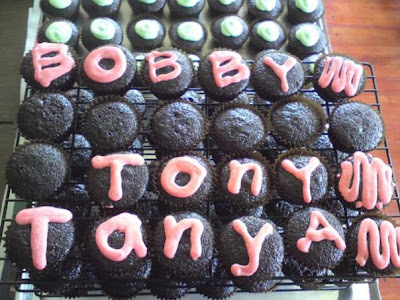 Cupcakes ready to be transported to Lola Zita's house ! Wow, that is a lot of cupcakes, nicely done, they look great. thanks Lorelei. I'll be posting the 2 SMS challenges soon.